Hit-and-run crashes can be some of the most frustrating and stressful incidents in a person’s life, especially if they are hurt or they have to fight their insurance company to pay for the resulting vehicle damage. Nationally, hit-and-run accidents have been on the rise in major cities where traffic density has increased. Texas is no different. Texas had such a problem with hit-and-run accidents that in 2013, legislators closed a loophole that police said encouraged drunk drivers in crashes to flee the scene. Before they passed the new law, the maximum penalty for “failing to render aid” was only half of the penalty for causing a drunken-driving fatality. The new law now makes the maximum penalty for failing to render aid a second-degree felony and up to 20 years in prison, the same for intoxicated manslaughter. 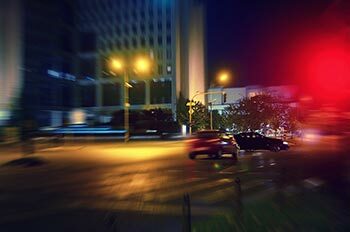 Under Texas law, a hit-and-run accident is referred to as “leaving the scene.” These accidents involve any driver who knowingly hits a vehicle and intentionally drives off, failing to leave his or her contact information, call for help, or render aid. A person hits your car in a parking lot and leaves the scene without leaving their contact information. A person hits your car while you’re driving and speeds off in another direction to avoid making contact with you. A drunk driver hits your car and flees the accident to avoid being caught for drunk driving. One of the most pressing and stressful challenges for a victim of a hit-and-run is finding the driver who left the scene. If the person, can be found then the accident can be handled like any other accident. However, significant questions remain as to why the person left the scene. Did the person not have insurance? Was the person under the influence of drugs or alcohol? So how can you make sure that you do everything in your power to find the hit-and-run driver? The answer isn’t easy and depends on the accident, but in general, there are a variety of boxes you should check. If you’re on the road, especially a busy highway, finding a witness can be hard. But if you’re parked in a busy parking lot, on a neighborhood street, or you’re driving in slow-moving traffic near a lot of people, you should carefully look around for any possible witnesses to the accident and ask for their names and contact information. If possible, record or make notes about what they said about they saw on the spot. Often, surveillance cameras are our clients’ saving grace. We’ve successfully tracked down camera footage from nearby businesses and traffic control cameras to help identify the guilty driver. If your accident occurred near a business, church, school, government facility, or sometimes even homes with personal surveillance cameras, there is a strong possibility of finding the driver who hit you, or at the very least, proving that you were hit by another car. Looking for surveillance footage can be tedious and overwhelming, but it can make the difference in your case or claim. Look for the same evidence if were hit while your car was parked, and if you can’t find any, at the very least, record the time you found the damage to your car, the time you parked you car, the exact location of your car when it was hit, and take pictures of the damage that was caused. Do what you can to prove that your car was impacted by another vehicle. For example, if there was a witness who saw a car back into your car but can’t remember the details of the car that hit you, the fact that he or she saw a car impact yours is enough evidence to prove you were impacted by another vehicle, which is crucial when filing a claim. In the event you’re hit by flying debris, such as construction material from the back of a truck, or a hubcap, you’ll want to clearly identify this type of damage with photographic evidence and if you can, finding the object that hit you. In the event of substantial damage to your car or if you’ve possibly suffered an injury, make sure you call the police immediately to get an official accident report that can help corroborate your story. If you’re driving during the accident and the driver who hit you speeds off, it can be tempting to drive after them to get their license plate number, but be aware that this may cause you to drive recklessly and potentially get in another accident or hurt another driver. Instead, you should call the police as soon as possible and provide them with the information about the vehicle right away. A police report can also help prove to your insurance company that you are not attempting fraud and help you speed up the claim process. If you or an accident investigator are able to find the person and vehicle that hit you, you can file a claim against that driver’s insurance company right away. If that driver did not have car insurance or didn’t have adequate coverage for the damages caused — which often is the case in hit-and-run accidents — you can try to get your money with the help of a trusted lawyer. If you’re unable to identify the person who hit you, you’ll have to file a claim with your own insurance company with as much evidence as possible to prove the accident was not your fault and that it was a hit-and-run.